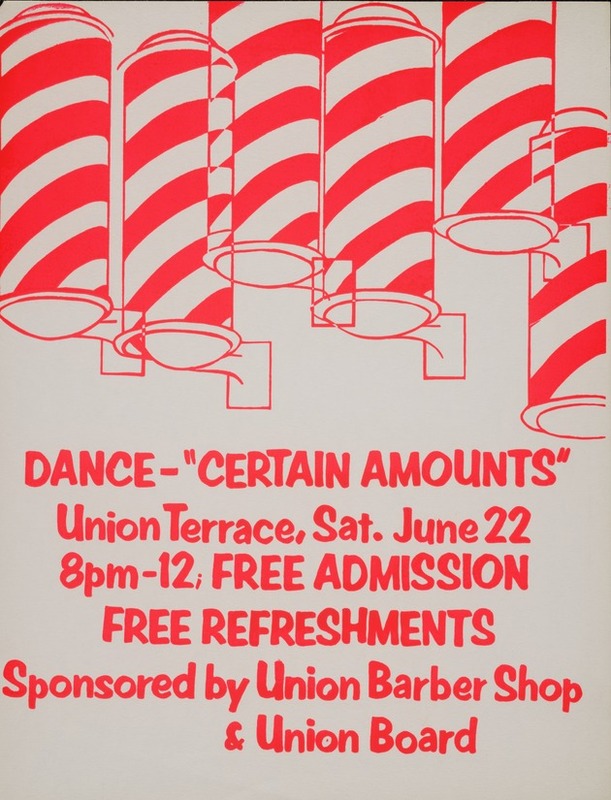 ﻿ Poster advertising Dance - "Certain Amounts," sponsored by Union Barber Shop and the Union Board on the University of Florida campus. Poster advertising Dance - "Certain Amounts," sponsored by Union Barber Shop and the Union Board on the University of Florida campus. A dance ad with the band "Certain Amounts" to be at the Union Terrace on Sat. June 22 and sponsored by the Union Barber Shop & Union Board. A grphic of barber shop poles takes up the top half of the poster.